THE struggle for independence and self-rule by Al-Marhum Sultan Haji Omar ‘Ali Saifuddien Sa’adul Khairi Waddien ibni Al-Marhum Sultan Muhammad Jamalul Alam and Sultan Ahmad Tajuddin, with the support of the Union of Brunei Malays (KMB) and the Youth Front (BARIP), demonstrated the depth of their patriotism for Brunei. Their patriotism became the driving force behind the youth of Brunei Darussalam who wanted to preserve the country’s dignity and sovereignty. THE establishment of the Muara Port Company Sdn Bhd (MPC), as the new operator for the Muara Container Terminal (MCT), will facilitate the growth in the logistics and manufacturing industries and unlock the potential of Muara Port to become a world-class international hub, a Ministry of Finance press release issued yesterday stated. 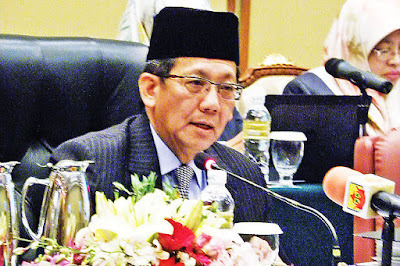 The recent establishment is in line with the objective of the Government of His Majesty Sultan Haji Hassanal Bolkiah Mu’izzaddin Waddaulah ibni Al-Marhum Sultan Haji Omar ‘Ali Saifuddien Sa’adul Khairi Waddien, Sultan and Yang Di-Pertuan of Brunei Darussalam to improve the efficiency of the container terminal and the overall logistics value-chain in the country. 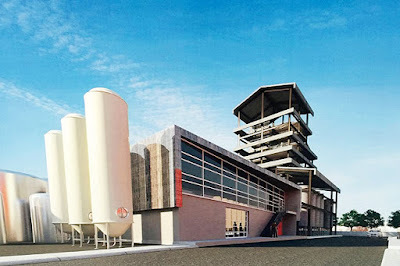 The set-up will facilitate the growth in the logistics and manufacturing industries and unlock the potential of Muara Port to become a world-class international hub, the press release added. 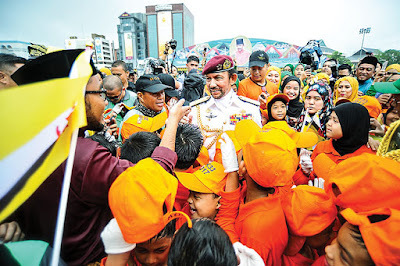 AN EARLY morning heavy downpour that soaked the quiet streets of Bandar Seri Begawan failed to dampen the spirit of patriotism, love and loyalty towards the nation as thousands of citizens and residents flooded the capital yesterday to celebrate Brunei Darussalam’s 33rd National Day. HIS Majesty Sultan Haji Hassanal Bolkiah Mu’izzaddin Waddaulah ibni Al-Marhum Sultan Haji Omar ‘Ali Saifuddien Sa’adul Khairi Waddien, Sultan and Yang Di-Pertuan of Brunei Darussalam urged Bruneians not to let the Brunei Vision 2035 be just an intellectual rhetoric and sound beautiful only when expressed in words, but to implement it with full commitment and determination. 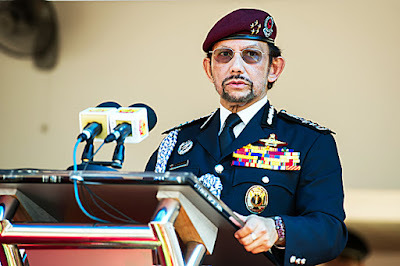 In a titah delivered on the eve of the 33rd National Day, which was broadcast nationwide over Radio Television Brunei (RTB), His Majesty said the people should be more agile to produce high results that can contribute to progress and help the nation realise the vision. HIS Majesty Sultan Haji Hassanal Bolkiah Mu’izzaddin Waddaulah ibni Al-Marhum Sultan Haji Omar ‘Ali Saifuddien Sa’adul Khairi Waddien, Sultan and Yang Di-Pertuan of Brunei Darussalam, and Inspector General of the Royal Brunei Police Force (RBPF), yesterday morning officially launched the new RBPF Headquarters located at the Jalan Tungku Link area. On hand to witness the auspicious occasion were His Royal Highness Prince Haji Al-Muhtadee Billah, the Crown Prince and Senior Minister at the Prime Minister’s Office, and Deputy Inspector General of the RBPF; His Royal Highness Prince Mohamed Bolkiah, the Honorary Commissioner of Police; Her Royal Highness Princess Hajah Masna, Ambassador-at-Large at the Ministry of Foreign Affairs and Trade, and Commandant of the Women Police; and Her Royal Highness Princess Hajah Nor’ain, Deputy Commandant of the Women Police. THE Royal Brunei Police Force (RBPF) needs to uplift law enforcement efforts as it faces constant challenges brought about by globalisation and a borderless world. This was stated in a titah delivered by His Majesty Sultan Haji Hassanal Bolkiah Mu’izzaddin Waddaulah ibni Al-Marhum Sultan Haji Omar ‘Ali Saifuddien Sa’adul Khairi Waddien, Sultan and Yang Di-Pertuan of Brunei Darussalam, and Inspector General of the RBPF during the 96th Police Day Parade held at the Parade Square of the RBPF Headquarters yesterday. His Majesty also emphasised the need for high integrity among the police force and urged them to increase their capacity and level of expertise in combating crimes, keeping up with the excellent police forces in the world. HIS Majesty Sultan Haji Hassanal Bolkiah Mu’izzaddin Waddaulah ibni Al-Marhum Sultan Haji Omar ‘Ali Saifuddien Sa’adul Khairi Waddien, Sultan and Yang Di-Pertuan of Brunei Darussalam and Her Majesty Duli Raja Isteri Pengiran Anak Hajah Saleha binti Al-Marhum Pengiran Pemancha Pengiran Anak Haji Mohamed Alam yesterday morning joined the Chinese community in celebrating the Chinese Year of the Rooster at the International Convention Centre (ICC) in Berakas. THE Minister of Education, Pehin Orang Kaya Indera Pahlawan Dato Seri Setia Awang Haji Suyoi bin Haji Osman has announced that his ministry is making three core changes in terms of curriculum and assessment, the structure of the education system and the vocational and technical system, in response to the aspirations of His Majesty Sultan Haji Hassanal Bolkiah Mu’izzaddin Waddaulah ibni Al-Marhum Sultan Haji Omar ‘Ali Saifuddien Sa’adul Khairi Waddien, Sultan and Yang Di-Pertuan of Brunei Darussalam for the implementation of the National Education System for the 21st Century (SPN21). 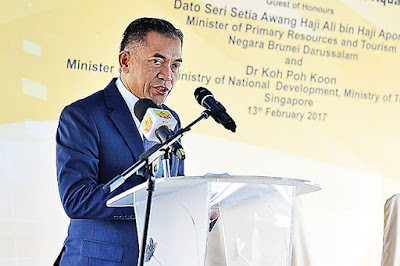 THE Minister of Primary Resources and Tourism Dato Seri Setia Awang Haji Ali bin Apong in his speech during yesterday’s signing and ground-breaking ceremony, said that it was a historic day for both Brunei and Singapore as the ceremony marked the beginning of the construction phase for the vertical land-based, bio-secured and high-density aquaculture farming in the country by KR Apollo Sdn Berhad. The realisation of the vertical land-based aquaculture farm project will be the turning point for Brunei, which uses traditional extensive pond culture with low productivity to the multi-tiered, indoor and high-density systems of fish rearing which is energy efficient and environmentally responsible. 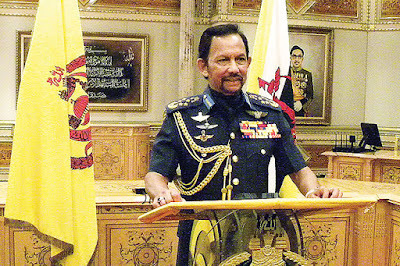 BY COMMAND of His Majesty Sultan Haji Hassanal Bolkiah Mu’izzaddin Waddaulah ibni Al-Marhum Sultan Haji Omar ‘Ali Saifuddien Sa’adul Khairi Waddien, Sultan and Yang Di-Pertuan of Brunei Darussalam, the Ministry of Religious Affairs (MoRA) informed that His Majesty has consented for the new Katok Arabic Secondary School to be named Raja Isteri Pengiran Anak Hajah Saleha Girls Arabic Religious Secondary School. 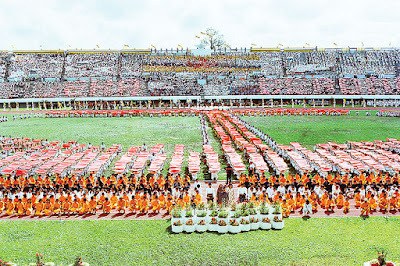 The ministry said the school is a project under the 10th National Development Plan under the Ministry of Religious Affairs at the cost of nearly $47 million. DIABETES and high blood pressure are no longer diseases that affect old people. Nowadays in Brunei, young people aged 20-30 years and even children fall victims to these diseases, said Dato Seri Setia Dr Awang Haji Zulkarnain bin Haji Hanafi, the Minister of Health yesterday while addressing members of the Legislative Council (LegCo) during a dialogue session at the Women and Children Centre of the Raja Isteri Pengiran Anak Saleha (RIPAS) Hospital. “A survey conducted by the Ministry of Health (MoH) has found that many children are taking fizzy drinks sold outside their school compound although school authorities have provided healthy food. We need cooperation from parents and family members to end this problem,” the minister added. 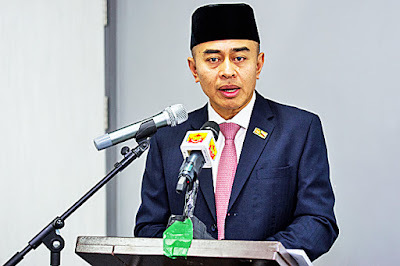 AMANN Shipping Group Sdn Bhd (Amann Shipping) has intensified its operations in its bid to support the Brunei Government’s initiative to further reduce logistics costs and improve connectivity. 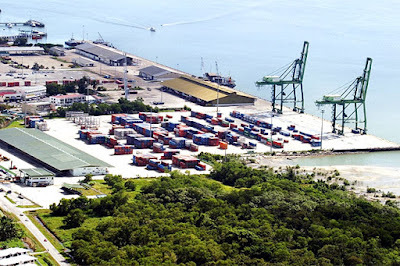 Amann Shipping is gearing up to offer better connectivity and a more regular sailing between Muara and other ports in the region, the company said in a statement. 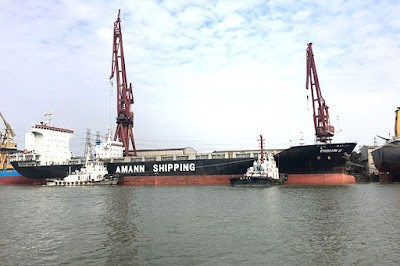 Amann Shipping is the operating company of Marzuq Holdings Limited (Marzuq), a joint venture company between the Ministry of Finance’s Strategic Development Capital and Go-Wide Shipping Holding Limited from Hong Kong which was incorporated in May 2014. The joint venture is a significant effort to speed up the country’s economic diversification programme and to create new employment opportunities to the local people. THE Ministry of Communications (MinCom) in its effort to provide a better transport and communication system has structured five key areas in its Strategic Plan (2017-2022) that are still being considered and refined. 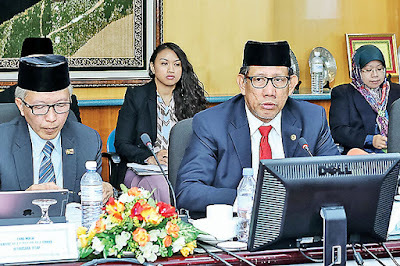 This was stated by Dato Seri Setia Awang Haji Mustappa bin Haji Sirat, Minister of Communications, in a Muzakarah (lecture) session with the representatives of the MinCom and members of the Legislative Council (LegCo) yesterday, which took place at the Al-Mahabbah Meeting Room at the ministry. The minister explained that the first strategy is focussed on customers, whereby the departments under the Ministry of Communications will pay more attention to the aspirations and needs of the public and establish a harmonious and friendly relationship with customers. HIS Majesty Sultan Haji Hassanal Bolkiah Mu’izzaddin Waddaulah ibni Al-Marhum Sultan Haji Omar ‘Ali Saifuddien Sa’adul Khairi Waddien, Sultan and Yang Di-Pertuan of Brunei Darussalam yesterday led the Black Team to an 8-5 victory against the Grey Team in the finals of the Richard Mille Charity Polo Tournament for the Children’s Cancer Foundation (YASKA), at the Royal Brunei Polo and Riding Club. 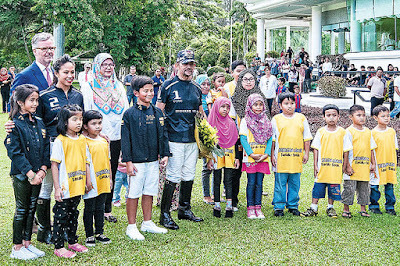 In this photo, His Majesty, His Royal Highness Prince ‘Abdul Wakeel, Her Royal Highness Princess ‘Azemah Ni’matul Bolkiah and Her Royal Highness Princess Ameerah Wardatul Bolkiah are seen with children from YASKA. 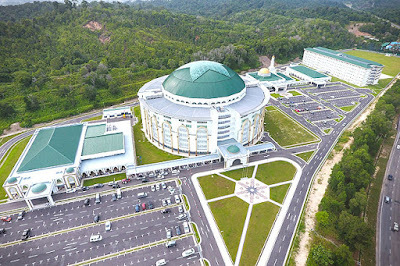 BRUNEI Darussalam’s efforts to diversify its economy by creating new business opportunities and attracting foreign direct investments continue to show positive results. Supporting the Sultanate’s ambitious growth goals, Turkish food manufacturing company Marsa Yag Sanayi Ve Ticaret Anonim Sirketi based in Istanbul is set to open up a margarine manufacturing facility in Brunei Darussalam as part of its regional expansion plans. The company named Western Foods and Packaging Sdn Bhd (WFP) will begin production in April 2017, the Ministry of Finance said yesterday. The establishment of Western Foods and Packaging (WFP) in Brunei is expected to leverage the Turkish company’s expertise in producing margarine, oil and fats for the export market. 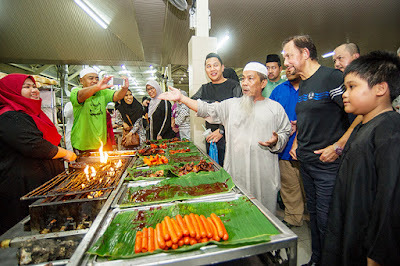 TRADERS and visitors at the refurbished Pasar Pelbagai Barangan in Gadong received an unscheduled visit by His Majesty Sultan Haji Hassanal Bolkiah Mu’izzaddin Waddaulah ibni Al-Marhum Sultan Haji Omar ‘Ali Saifuddien Sa’adul Khairi Waddien, Sultan and Yang Di-Pertuan of Brunei Darussalam last night. His Majesty, who arrived at about 8.30pm, spent a full hour mingling with vendors and visitors who were awestruck at the monarch’s surprise visit. The high-roofing of the night market provided ample cover to deter the light rainfall last night. Upon arrival, His Majesty was greeted by a crowd of people who were thronging the busy market hunting for their favourite local delicacies. 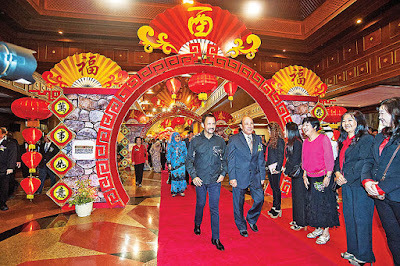 The ruler walked through the spacious alleyways, passing by the vendors who expressed gratitude to His Majesty for reviving the night market in Gadong.